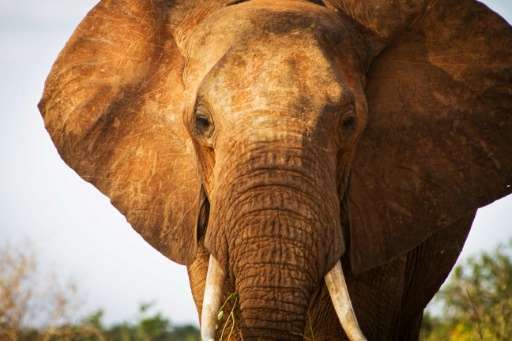 Richard Moller of the Tsavo Trust told AFP that Satao II, named after another famed giant killed in 2014, was found dead on Monday and was believed to have been shot with a poisoned arrow, though this had not been confirmed. According to the International Union for Conservation of Nature (IUCN) the number of African elephants has fallen by around 111,000 to 415,000 over the past decade. He said one of Satao II's tusks weighed 51.5 kilos (112 pounds), and the other 50.5 kilos. The Tsavo ecosystem covers some 42,000 square kilometres (16,000 square miles), a major challenge for rangers from the KWS to patrol.